This is a sponsored posts, however all photos and opinions are my own. When my kids hear a blender going in my house, they know they are going to get a cup from their dad moments later. Whether it is a fruit smoothie he made or me, trying to incorporate some greens in their diet, they are our little smoothie taste testers. It's a fun and easy way for us to incorporate them into the kitchen. I know every time I see a banana smoothie, I think of my dad. It's a childhood memory that will always stick. And I hope my children will have memories of us gathered around the kitchen island, experimenting with smoothie combinations! 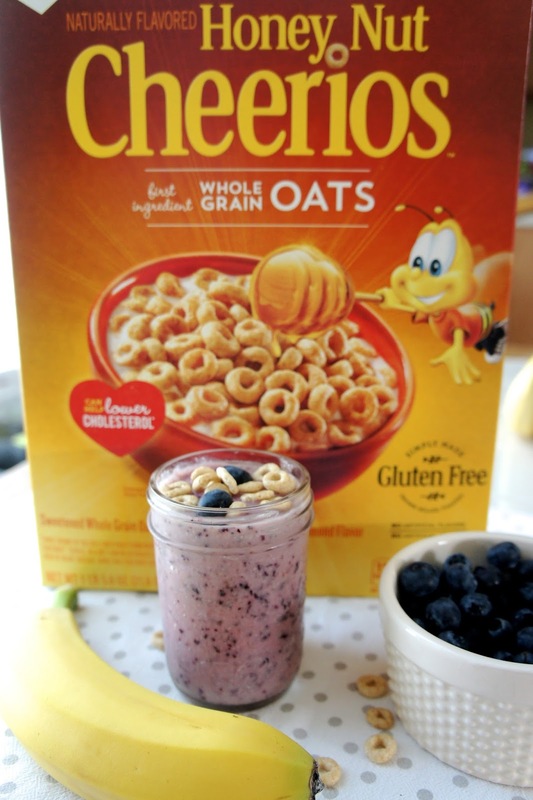 Something fun we recently tried was a blueberry-banana-Honey-Nut-Cheerios smoothie! Place ingredients in a blender, blend on high for about 30 seconds or until smooth. 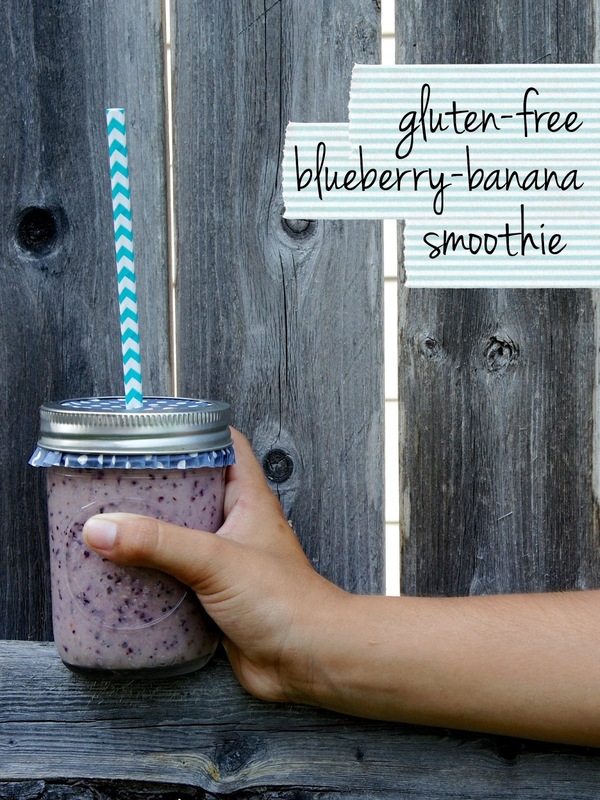 Pour and serve as a breakfast smoothie or an afternoon snack! Summer is coming up so we've got to get creative with our snack game! My favorite way to introduce smoothies is also to us small mason jars. I top with a cupcake liner, then screw the lid back on and pop in a straw! Not only does it look fun, it helps with any spillage! You can find Honey Nut Cheerios easily in the cereal aisle at any Walmart. And there are so many recipe ideas for your favorite cereals on quericavida.com, search "Dia de los Ninos" to find fun cupcake, smoothie recipes and more on Pinterest! Cheerios in a smoothie? Different, but fun! And I LOVE the cupcake liner tip. Genius!